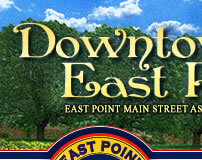 The East Washington Neighborhood (EWN) is one of the oldest neighborhoods in East Point. There is an enormous amount of history in East Washington. The boundary lines for the EWN are East and West Cleveland Avenue from Main Street to Sylvan Road and south to Central Avenue. There were other communities in the EWN known as Jungle Foot, Grabill, Oil Mill Road and the Montel Village Com- munity. The Grabill community is where one of the oldest churches is located. Union Baptist Church, located on East Washington Avenue, was founded in 1866. The church celebrated 146 years on October 28, 2012. Martin Luther King Sr., who was known as Daddy King and was the father of Martin Luther King Jr., accepted the call to pastor the church in 1918 and served until the early 1930s leaving to become the pastor of Ebenezer Baptist Church in Atlanta, Ga. Other pastors who have served at Union Baptist Church include Reverend C.L. Daugherty and Reverend B.B. Carter. The church is pastored today by Reverend Larry Banks. The EWN has contributed more than a few major players to the world-at-large and the world of sports. EWN was the birthplace of two famous athletes: John Davis Milner, a professional baseball player who was awarded an outstanding award for his service with the New York Mets (1971 to 1982); also, Donald Adama, who played professional basketball with the Detroit Pistols. 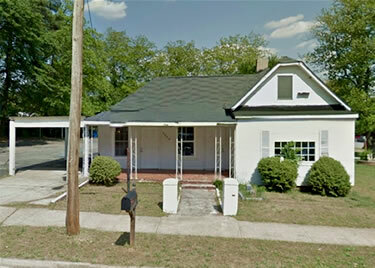 The first black funeral home was L. Sims Funeral Home and was located on Holcomb Avenue. The second oldest was organized March 31,1938 on Bayard Street. The building that housed Walker’s Funeral Home is still standing. It is the oldest building in the EWN. The present funeral home in this community is the Gus Thornhill Funeral Home. Because of the industries located in the East Washington Neighborhood, the City of East Point became the eighth largest industrial city. These industries included: Piedmont Cotton Mill, Henry Chaney Cotton Mill, the steel plant, the Thread Shop, Hercules Power Co. and Allied Chemical Co., still located in the same spot on Central Avenue. There are many new businesses that have been built on many historical properties. 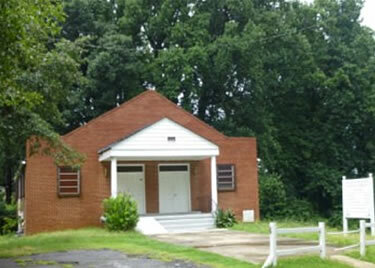 A few examples: (1) Newell Indus- trial set up business on the old cotton mill property, (2) Montel Home Public Housing and the South Fulton Medical Center were built where the old Grabill community was, and which was also the original location of the Union Baptist Church. The East Point Elementary School as well as East Point High School later became South Fulton High School. Black students were bused to the East Point High School from as far south as Palmetto, Fairburn and Union City. A lesser known point of interest in EWN is the formation of the Flint River which begins near Willingham Drive and Tri -Cities Plaza. The Flint flows south into the Gulf of Mexico. The EWN was proudly chosen to be a makeover community through the Federal Urban Weed and Seed Program and the Urban Renewal program. This program made the EWN an even better community.